Pastor Andrew Thompson is originally a native of Colorado but moved to Minnesota when he was very young. In the mid-1980's, he moved from suburban St. Paul to the Frogtown neighborhood, living on West Minnehaha. After living on the East Side for a time, Pastor Thompson enrolled at Concordia University in St. Paul with the intention of becoming a secondary education social studies teacher. During his early days at Concordia, Pastor Thompson converted to Lutheranism and became a member at St. Stephanus Lutheran Church (yes, this one). He was ordained into the Holy Ministry in 2005 at St. Stephanus, after graduating from Concordia Seminary in St. Louis and receiving a Divine Call to Zion Lutheran Church in Wayside, WI. After serving for almost 5 years as Associate Pastor in Wayside, God saw fit to call Pastor Thompson back to St. Paul, and back to St. Stephanus. Pastor Thompson and his wife Lynn, who he met in college, have four children: Anastasia, Elizabeth, Micah and Simeon. They are the source of great joy in the Thompson household. 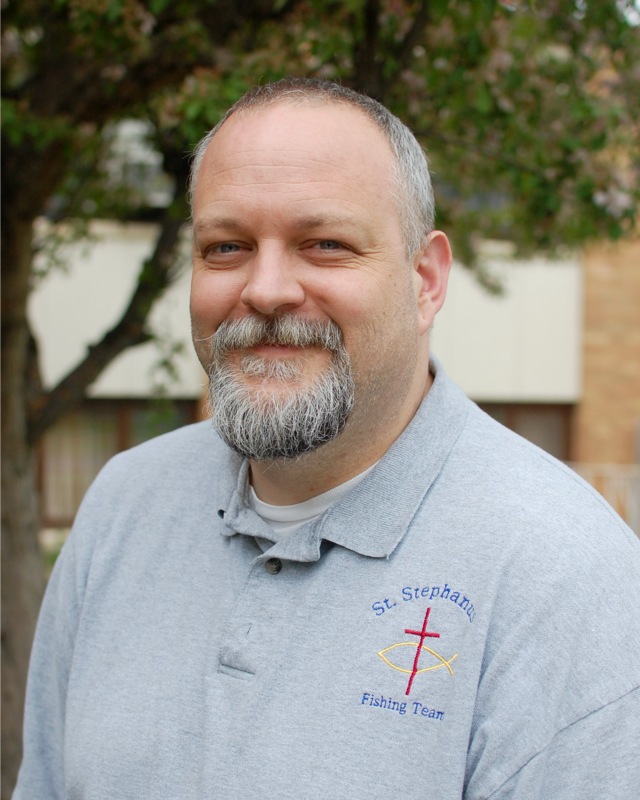 Pastor Thompson has a great desire for the work of God to be made known in and through the people of St. Stephanus, and he looks forward to continually working with you as brothers and sisters in Christ, and working for Jesus as a shepherd on God's behalf to you.